BUNDLE & SAVE WITH THESE DEALS! Act Now for these Limited-Time Offers on Triple Service Bundles! Enjoy over 125 channels including your favorite networks such as ESPN, Discovery, CNN, Lifetime, TLC, MTV, & much more! Surfing, e-mail, downloading music, uploading photos, streaming videos, watching movies, online gaming and transferring large files. Enjoy over 175 channels including your favorite networks such as Biography, Sprout, Nick Jr., NFL Network, BBC America and so much more! Enjoy over 200 channels including your favorite networks such as NFL RedZone, Fox College Sports, Outdoor Channel, Palladia and so much more! If you need cable TV, Internet, and Phone service, take advantage of Charter’s Triple Play and get all three services at one low price. Not only will you save money on all three services, but you’ll also simplify your life by dealing with only one bill each month. 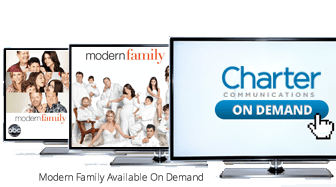 Charter Cable TV delivers more of the entertainment you want more of the time! With Charter TV in Digital, you get a crisp, vibrant picture that makes TV night even more fun and entertaining. In the fast-paced world of online communications, you need power and speed to keep the pace in cyber space. 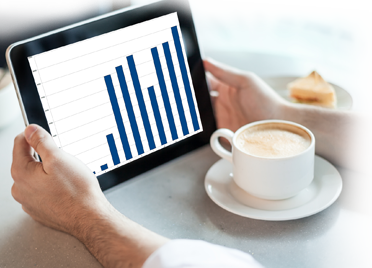 Charter Internet Plus offers a variety of download and upload speeds to fit your needs. Even with email, the Internet, and cell phones, households still need the security and reliability of home phone service. Charter's Phone Unlimited service comes with Enhanced 911 enables emergency dispatchers to automatically identify your name, phone number and address when you dial 911 in an emergency. With Charter Phone service, you can talk on the phone and surf the web at the same time. Plus, Charter Phone offers plans with unlimited calling in the U.S., Canada and Puerto Rico and worldwide calling with all of the post popular calling features. 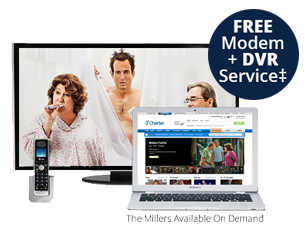 With Charter Communications you can find great package deals on cable, Internet and phone offers at BuyCharter.com that will help you save on your monthly bills. Bundle price is $129.97/mo. Yr 1 & $149.97/mo. Yr 2; standard rates apply after 2 years. Qualifying bundle includes Charter Spectrum TV®Gold, Charter Spectrum Internet® with speeds starting at 60 Mbps and Charter Spectrum Voice®. TV equipment required & is extra; Charter Internet modem is required & included in price; Phone taxes, fees, & surcharges are included in price; other equipment, install, taxes, fees & surcharges may apply.